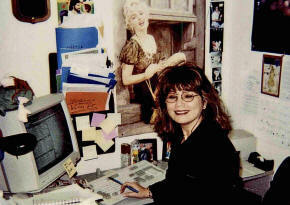 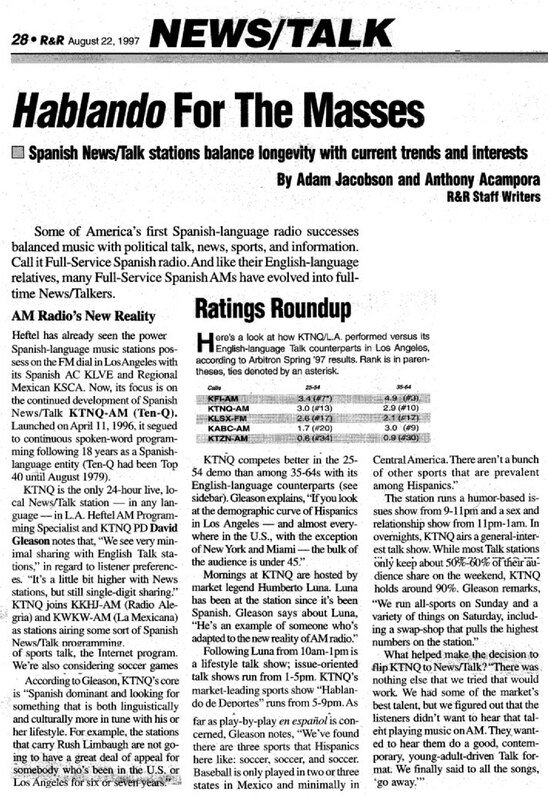 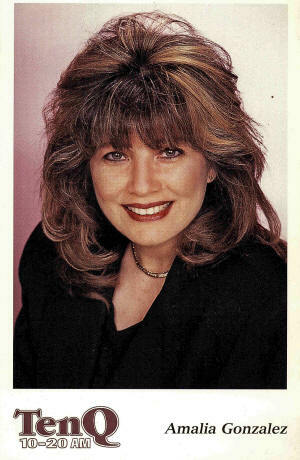 In 1996, KTNQ became a ful locally programmed Spanish language news talk station. 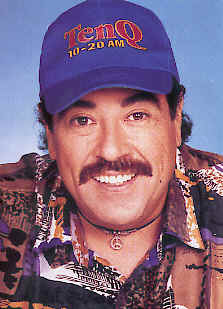 Prior to this, it had been a Spanish language music station since the late 70's. 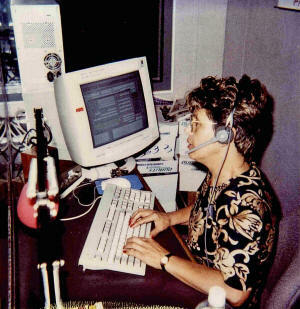 falling to below a 1 share of listening in 1995. 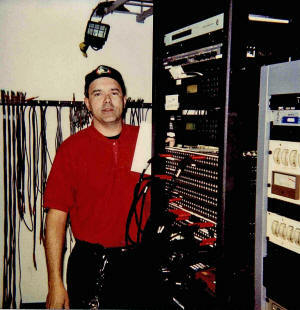 Here are pictures of the facilities and staff of this 50,000 watt AM on 1020 kHz licensed to Los Angeles. 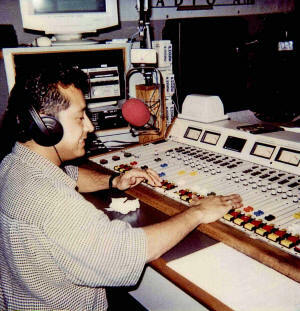 HBC operated four program formats in Los Angles, KLVE at 107.5 FM, KSCA at 101.9 FM, KTNQ at 1020 AM and Recuerdo, a "simulcast" of two signals at 103.9 and 98.3 FM. 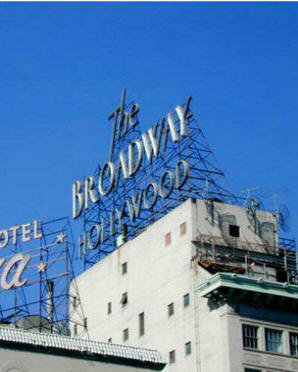 The stations were located in the historic Broadway Department Store building on the very corner of Hollywood and Vine. 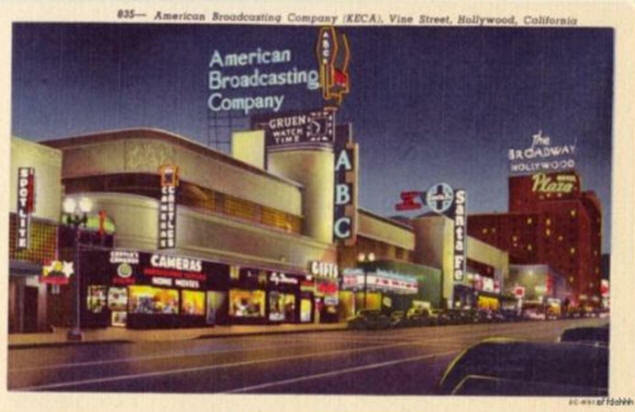 Here is how Hollywood Boulevard looked in the 40's when KECA (now KABC) was just down the street from The Broadway (right side of picture card), the building where KTNQ and KLVE were located from 1986 to 1991. 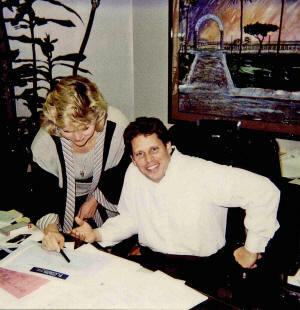 General Manager Richard Heftel and Office Manager Jo Krutelewski. 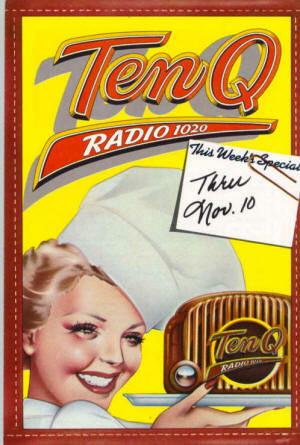 From Ten-Q to 10.20 AM... new name, new format. 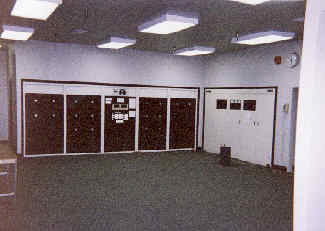 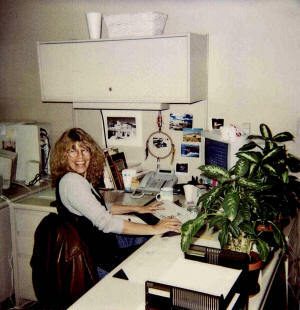 The former KGBS became Ten Q in the mid-70's after obtaining a license for fulltime 50 kw operation The 50,000 watt coverage of the LA metro was impressive. 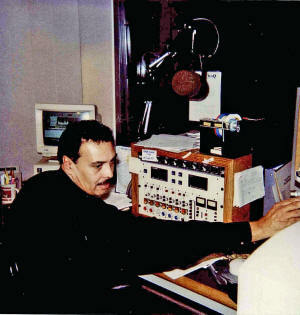 KTNQ Program Director David Gleason and the KTNQ format clock. 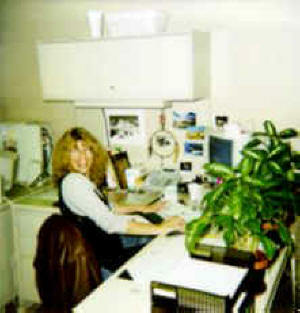 KTNQ Assistant Program director Amalia González. 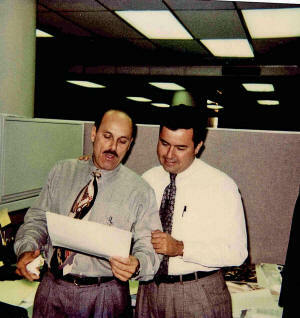 John with Eva Castillo, local account executive Chuy, in the promotion department. 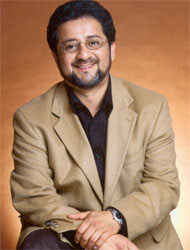 Michael Rey, engineer. 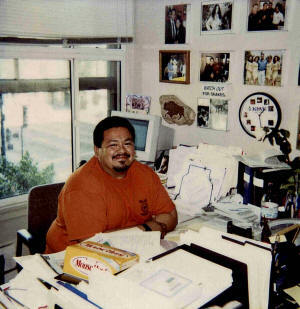 Michael was known as "X-Rey" around the station. 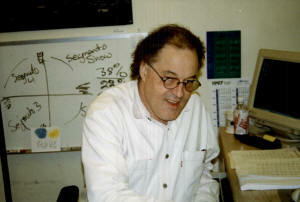 Bill Beadles, the creative promotions director of KTNQ. 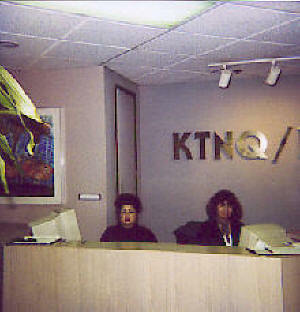 Patty and a promotions department assistant in the KTNQ KLVE Lobby. 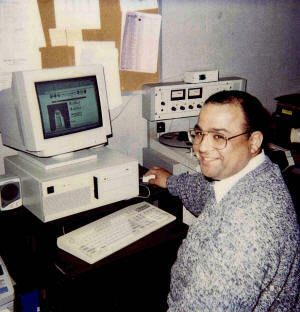 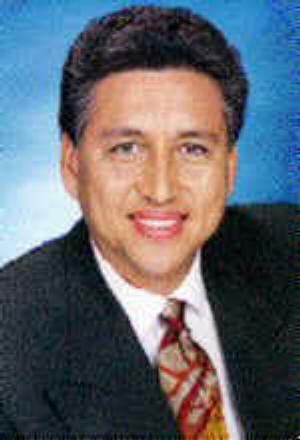 KNTQ and KLVE newsman Richard Santiago who also programmed the Cadena Radio Centro division. 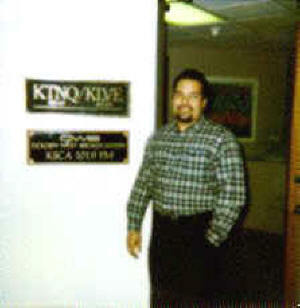 Otto René Estrada at the KTNQ board. 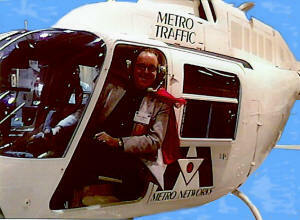 PD David Gleason with KTNQ Image producer Setrgio Tejeda David Gleason in the Metro Traffic helicopter. 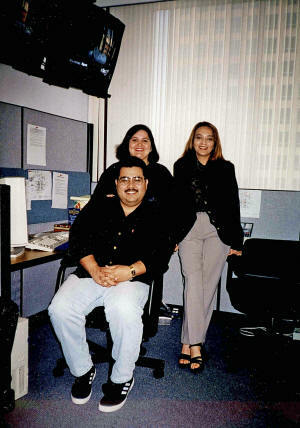 José Peñate, Silvia Botello and Berta Andrea González, the Metro Traffic team for KTNQ. 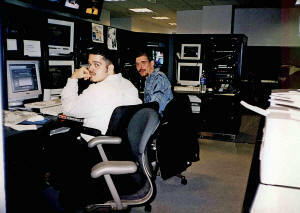 Metro Traffic master control and José Peñate delivering a traffic update. 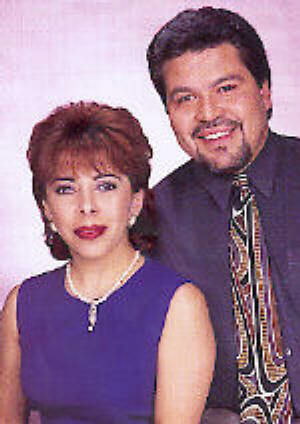 The KTNQ sports team responsible for Hablando de Deportes 5 PM to 9 PM daily. 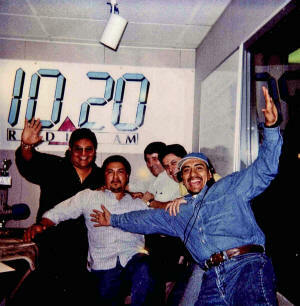 Hipólito Gamboa, Edu Villamar, Miguel Angel Cebreros are among them. 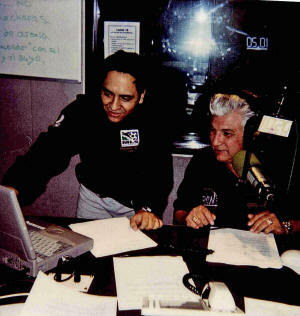 Rolando "EL Velóz" González, sports director of KTNQ with Assistant Director Hipolito Gamboa on the air. 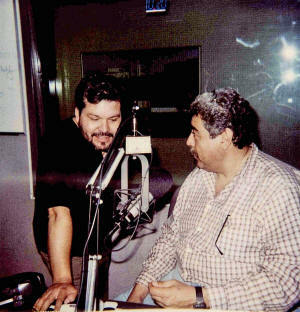 Cienfuegos and Gamboa... a winning team! 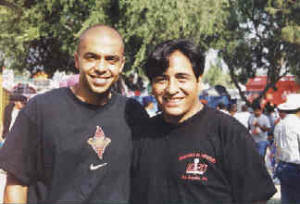 Hipólito Gamboa and Rolando González at a station soccer event. 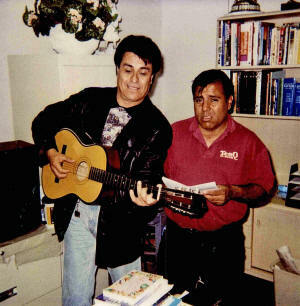 "Frijolito" screens calls for the Juan Carlos & El Gordo" show. 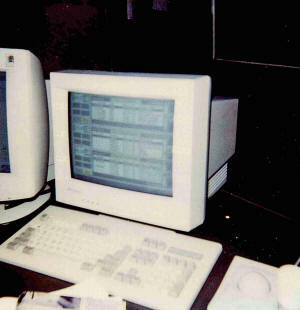 RCS Call Screening software. 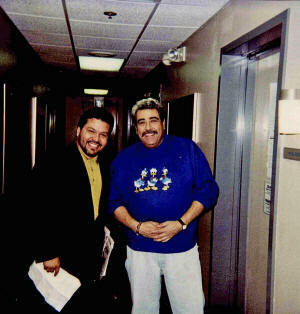 Juan Carlos & El Gordo in the hallway. 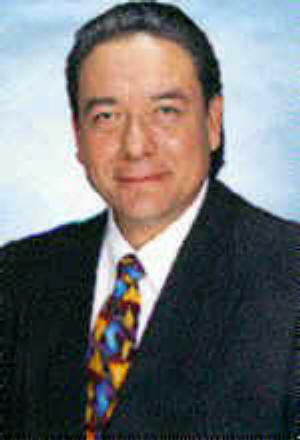 Juan Carlos Ortiz and Hugo Cadelago achieved impressive ratings. 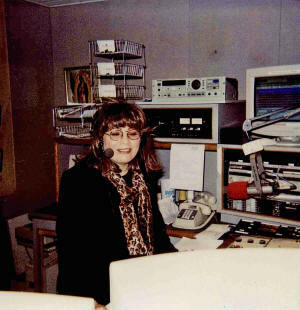 And the afternoon show on the air. 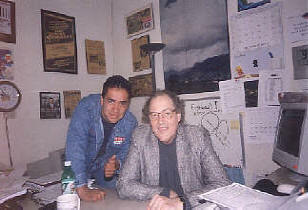 Pepe Vega in in the KTNQ news booth. 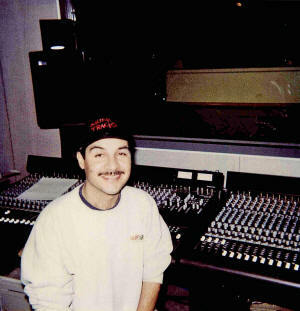 Santiago Nieto in the Pro Tools production room. 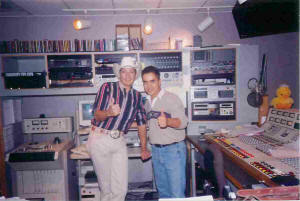 Sergio Tejeda en Production with a guest. 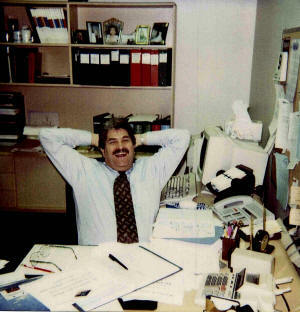 PD David Gleason contemplating the latest Arbitron numbers. 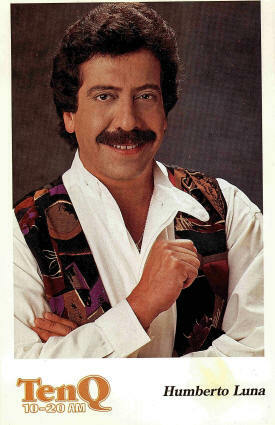 Chaim Magnum, a criminal attorney who did a Saturday show as part of the series of "Experts" featured all day. 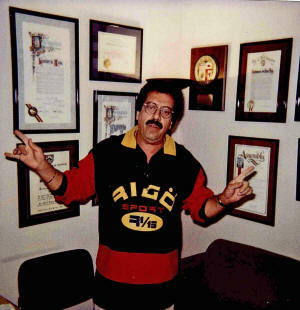 Juan Manuel Arenas who did an Ombudsman "We can fix it for you" show. 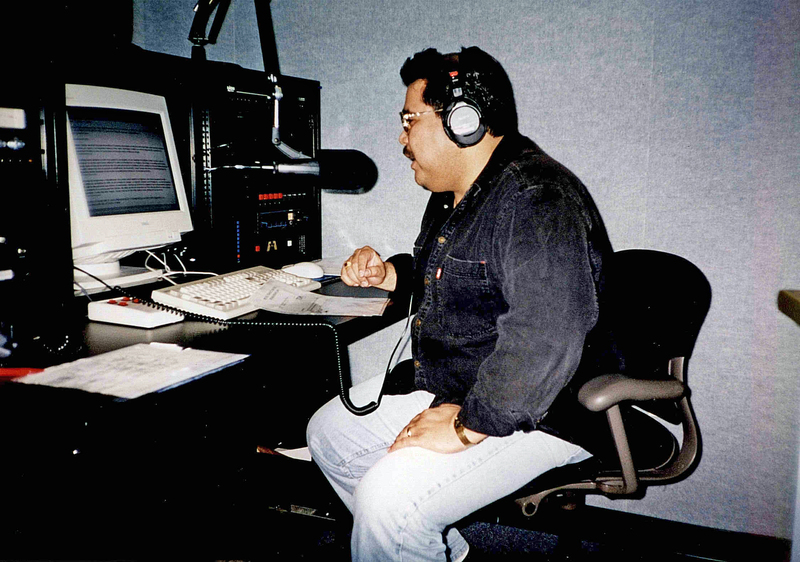 Víctor Camacho's "The Sleepless Ones" show beat KFI's Art Bell consistently in Midnight to 5 AM audience. 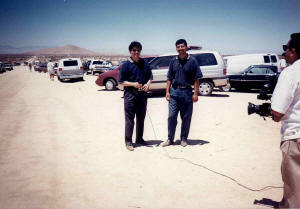 Overnight host Víctor Camacho at area 51 in Nevada... the only sighting was an increase in ratings! 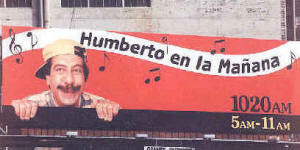 A controversial billboard campaign was launched in 1977. 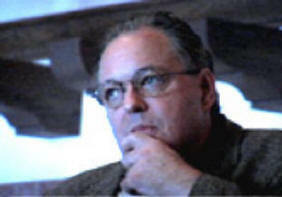 They featured scenes from news events with the caption "What happened?" 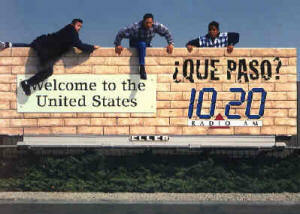 And, of course, an invitation to listen to KTNQ. 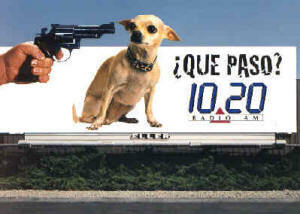 Even the Taco Bell Chihuahua did not escape from the campaign, becoming an alternate to the gang banger. 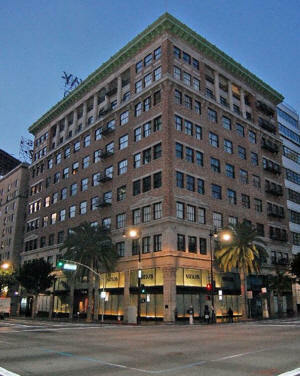 A city council protest "forced" us to pull this board amid much publicity. 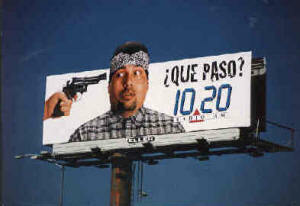 The gang banger with a pistol to his head was also a subject of controversy. 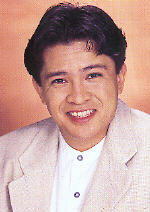 Soccer was not such a problem, but he action shot emphasized KTNQ's sports programming. 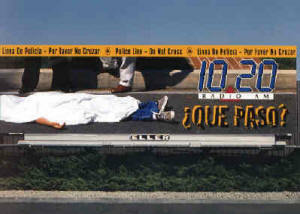 A dead body and police tape again promoted the station's coverage and discussion of news events. 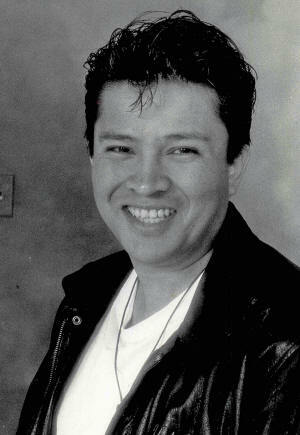 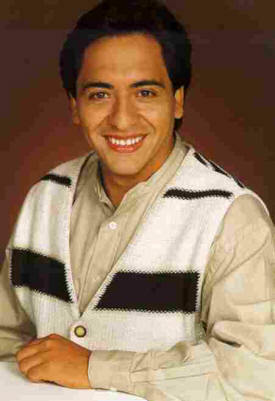 Of course, the Humberto Luna show got ongoing promotion as this was the lead-in show to the more topical talk blocks. 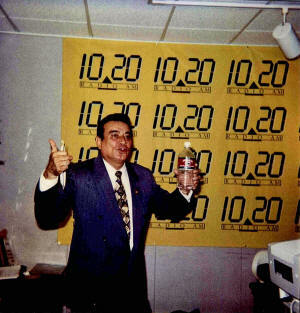 Market legend Humberto Luna did mornings on KTNQ. 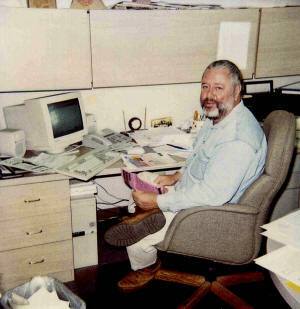 Some of his awards can be seen here, too. 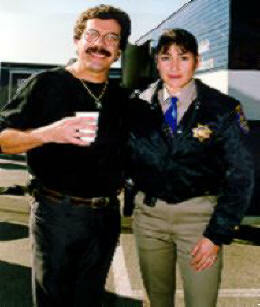 Here's Hummberto at an LAPD event. 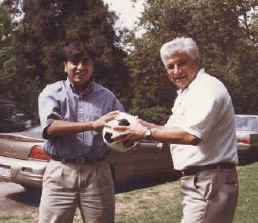 Humberto participated in many community activities. 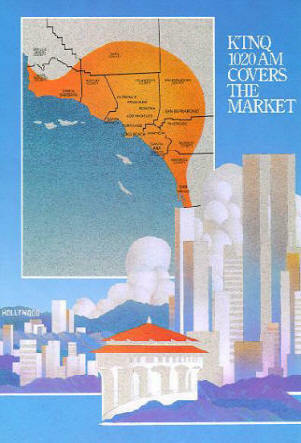 KTNQ's ratings success, beating most of the LA talk stations in 25-54, got the attention of R&R, the leading industry trade magazine. 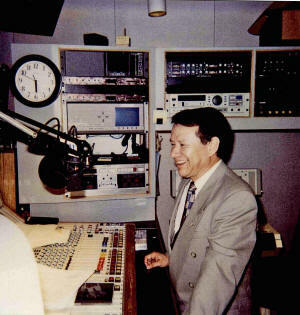 Here is the R&R article about the station. 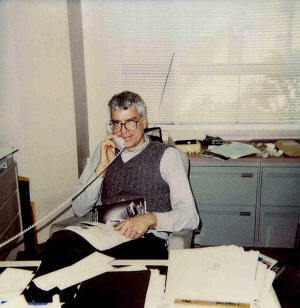 Click on either segment for a larger, more readable image. 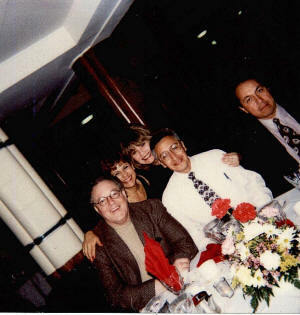 Marta Lomelí, psychologist and Juan Carlos Ortiz, who was both a minister and a family counselor. 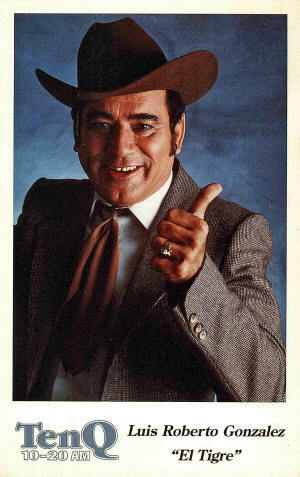 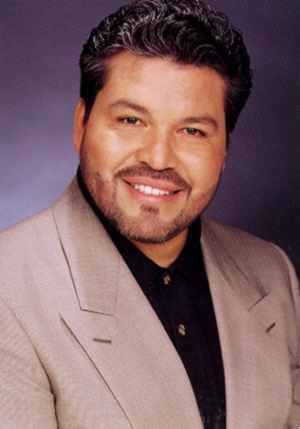 "Pancho del Rancho" was KTNQ's crusty and always controversial "voice of the common man" complete with a salty vocabulary. 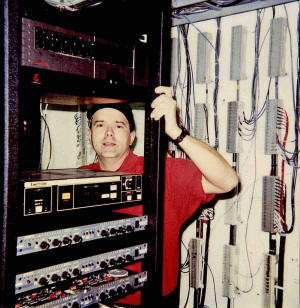 50,000 watt AM transmitter in City of Industry along with 10,000 watt auxiliary transmitter. 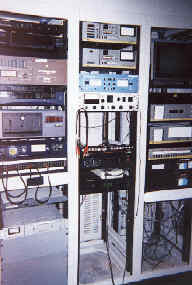 Equipment rack at the transmitter site with audio processing.